PANDORA Moments Shine Sliding Bracelet. 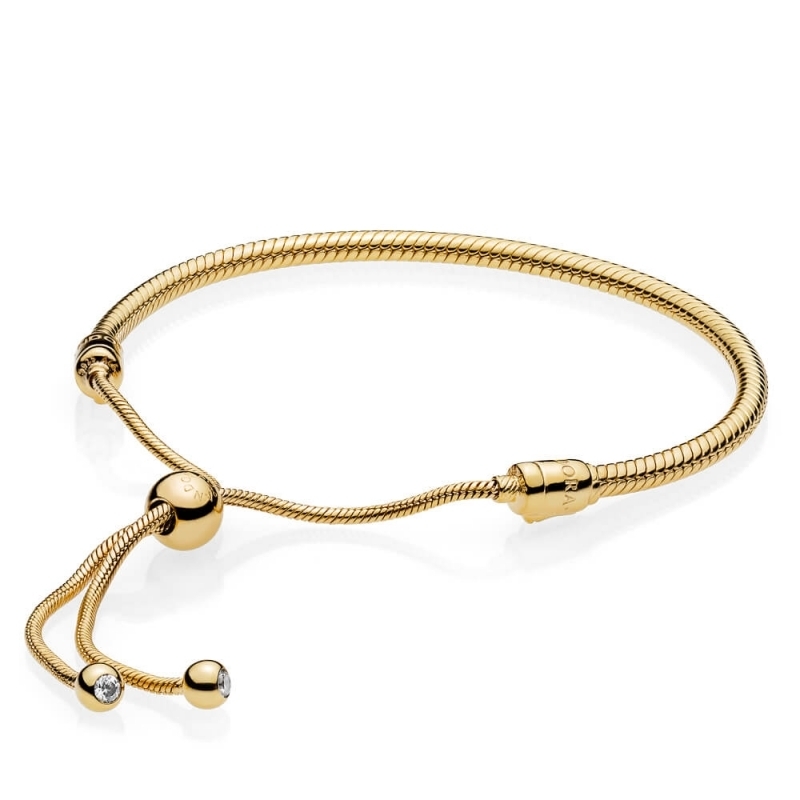 Made from 18ct gold plated sterling silver and complete with a sliding bolo clasp, this stunning new addition to the iconic PANDORA bracelet family is a stylish twist on a timeless classic. Using the button lock end tips you con open your bracelet, giving you the option to customise with charms if desired. Silicone grip clip charms are recommended. Just beautiful. I absolutely adore this item. Classy. It looks like real gold. I love the style. I purchased the bee pendant to put on it, as I was born in Manchester and signifies the horror that unfolded there. I love both items. Perfect. Thank you.